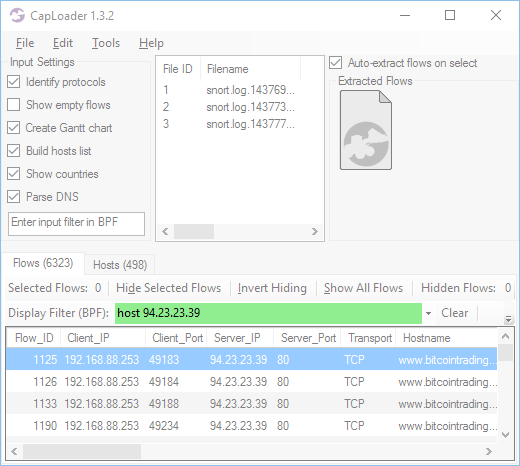 CapLoader comes with support for Berkeley Packet Filter (BPF), which makes it possible to filter network traffic based on IP addresses, protocols and port numbers without using external tools. 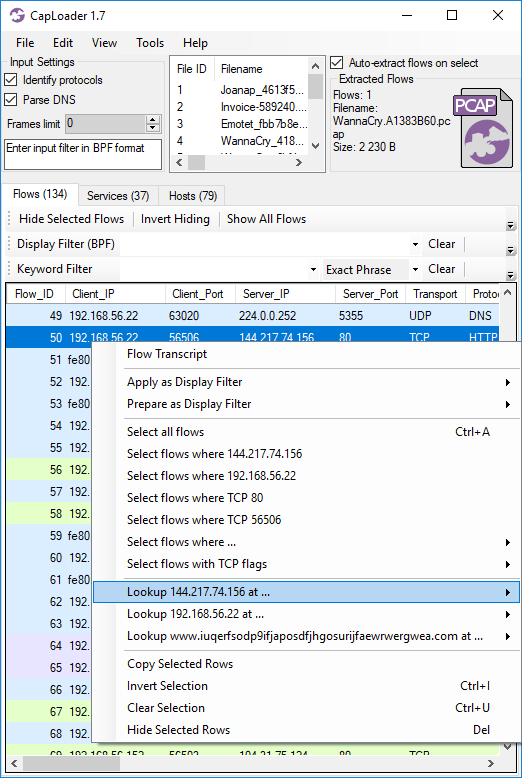 Being able to filter captured network traffic is crucial when analyzing large sets of PCAP files as well as in order to hunt down compromised hosts with Rinse Repeat Intrusion Detection. 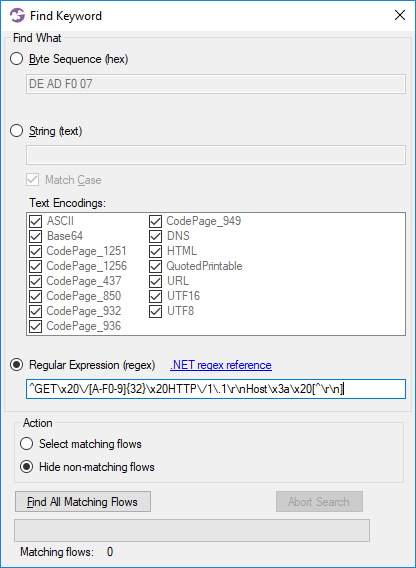 There are two ways to apply filters with BPF in CapLoader; you can either apply an input filter before loading your PCAPs, or you can apply a display filter after the capture files have been loaded. 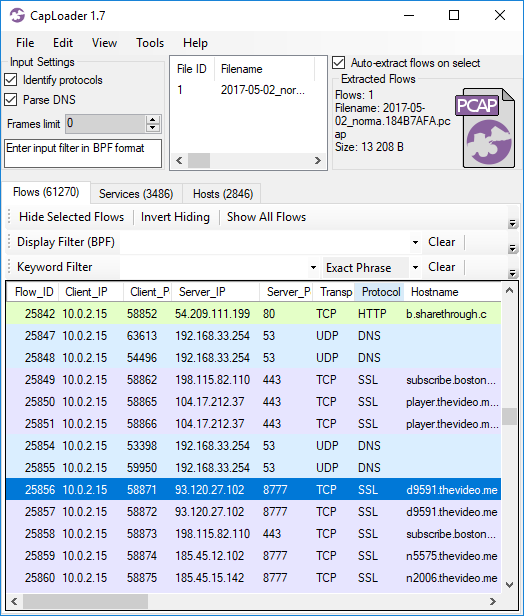 The fastest way to filter a large set of PCAP files with CapLoader is to enter an Input Filter before loading the capture files. Having an input filter will speed up the loading time significantly, since CapLoader will not need to analyze packets and flows that don't match the BPF syntax. The downside is that you will need to know beforehand what filter you want to use. In order to apply a changed input filter you need to reload the loaded PCAP files (pressing F5 will do this for you). 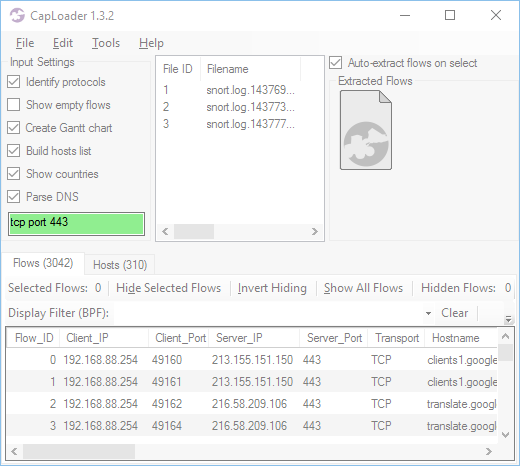 CapLoader supports display filters in order to allow filters to be changed on the fly, without having to reload the PCAP files. As the name implies, display filters affect what flows/services/hosts that are displayed in CapLoader. A changed display filter does not require the dataset to be reloaded, but it does require the GUI to update the visible flows. This GUI update will be somewhat slower compared to when setting an input filter. For all boolean algebra geeks out there we can confirm that our BPF implementation gives and precedence over or, which means that the last example above would give a different result if the parentheses were removed. Flows to or from TCP, UDP or SCTP port 53. 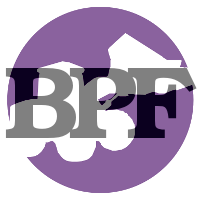 We've made the BPF implementation available even in the free version of CapLoader. You don't need to register to get the free version; just download, extract and run. The tool is portable, so you won't even have to install it. Visit https://www.netresec.com/?page=CapLoader to grab a copy and start filtering! With the release of CapLoader 1.4 it is now possible to apply Display Filters not only to the Flows tab, but also to the Services and Hosts tab.